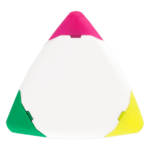 Branded highlighters are one of those very useful giveaways when you want to reach clients and prospects within a working or teaching environment. 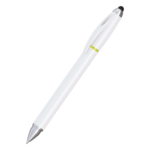 We have supplied promotional highlighter pens for business-to-business as well as business-to-consumer marketing campaings as well as public sector campaigns into schools, colleges and universities. 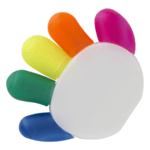 Our promotional highlighters range includes traditional and novelty items with variety of body shapes and colours. 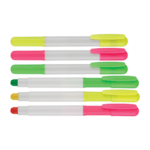 If you need samples of the highlighters supplied for previous campaigns please let us know. 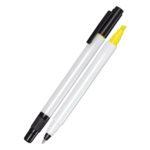 Promotional highlighters are one of the must have items in any office environment. They are a great business tool when it comes to making parts of a document such as report stand out or for identifying corrections to draft letters and brochures that need to be made. 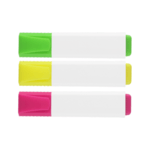 Highlighters are a type of writing instrument and one that generally has a felt tip and uses a coloured fluorescent ink instead of an opaque ink. As the pen nib is drawn across the paper the ink is dispensed to leave a coloured trail but with the original printed ink showing through it. Once applied the translucent ink cannot be erased. It is permanent. In this collection we have both single and multiple nib pens with the latter offering several ink colours. Translucent yellow has always been a firm favourite, closely followed by orange and green. Others pen ink colours include pink and light blue. We like to consider multi-nib and colour versions as novelty highlighter pens and these may have a traditional shape or something fancier. If you want a more novel version then please ask us as we may be able to offer an alternative version through our extensive supply chain or a bespoke or custom design. Bespoke products do take longer as there is a lengthy design process in creating a design, generating the plastic mould and then manufacturing and shipping the pen. The unit cost can also be higher (if the manufacturing run is not large enough) than a traditional version. 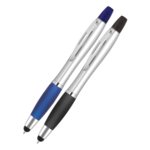 However, you can end up with a pen that is truly unique and a one-off version for your marketing campaign. 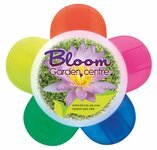 Branded highlighters like these can be used as promotional giveaways and are always well received at tradeshows, exhibitions, seminars and training schools. We have supplied thousands over the years and the one thing that really does make them stand out is good artwork. 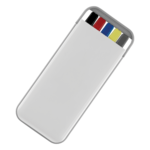 Artwork is what we use to generate the imprint on the highlighter or other chosen product. If you do not have your own artwork our Design Studio can generate this in the form that we need it (a vector file). We only apply the imprint to the product once we have received a signed-off artwork approval and this will dictate the position, size and colours to be used for the imprint. 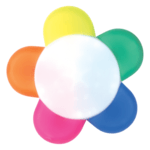 Most logos will have one or two colours and will be applied using screen printing. We can also apply an imprint using a digital printing technique to a high quality. If you need samples or want to see how your logo and imprint details will look on our promotional highlighter pens please do let us know. We can generate a virtual visual very quickly to give you an idea of how good this type of product can look and work for your marketing campaign. Please have a look at the products below. When you click on a product you will be able to see the specifications, print options, inks colours, overall size, print areas and pricing. If you do find a lower cost quote, then please remember our Price Match guarantee. We will simply not be beaten on price for a like-for-like product so please contact us and we will see what we can do to get you on board. We have one of the highest repeat client order rates in the industry thanks to our approach to customer service and looking after clients. You’re always in safe hands with Redbows. 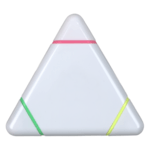 Where can you put a logo on a highlighter? The most common imprint area is on the pen barrel. 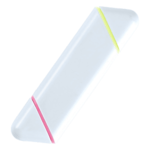 This can be one-sided or a two-sided imprint or even a full wrap-around print if available using digital printing techniques for your chosen highlighter pen. What colour ink highlighter pens are available? 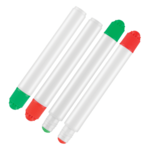 We supply the general fluorescent colours including pink, green, red and blue. 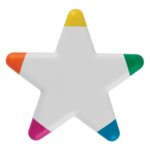 Non-standard colours may be available upon request. Do you supply novelty highlighter pens? 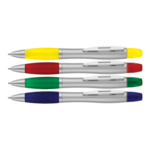 Novelty pens are an option and we can sometimes create a custom highlighter pen but for this a large manufacturing volume is required to justify a custom mould shape.